This Kwazakhele image is courtesy of Flickr. Click on the Flickr account holder below the photograph to see more. 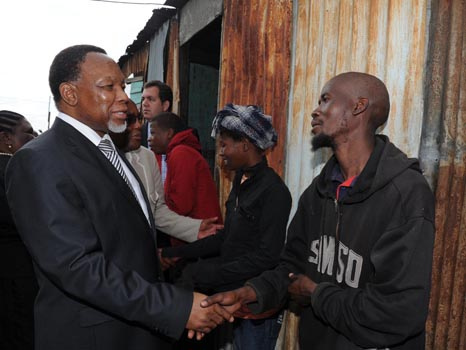 Picture: Deputy President Kgalema Motlanthe meet the Prince Family. This image is automatically selected as it was published with this keyword/s relevant to Port Elizabeth: Kwazakhele. Please – CLICK HERE to report any ‘offensive’ images. Don’t forget to support and thank the photographer.